If you have downloaded a custom template for your blog and you are unsatisfied with its width for the posts, body or sidebar, this post will guide you on what you need to change in order to achieve your desired results. Normally we can easily do that by using the default template editor that Blogger provides us with, but in most cases it does not support custom templates so we would need to manually change the HTML code ourselves. You can have bigger images in your blogs. Good result in old browsers like Internet Explorer 6. It gives your blog an overall clean look. 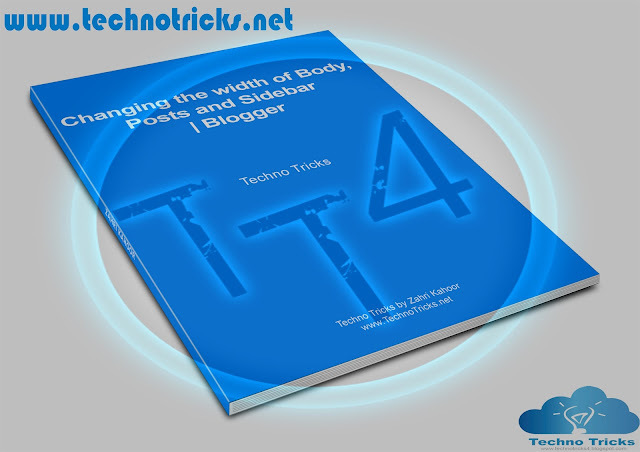 Remember : The width factor in #outer-wrapper defined the overall width of blog, in #main-wrapper it defines the width of your posts and in #sidebar-wrapper it defines the width of your sidebar. 3. Now you know the code, you can increase the width in #outer-wrapper and then increase in the #main-wrapper (for posts) or #sidebar-wrapper (for sidebar).